This guide will help you choose the best saltwater spinning reel for your inshore, pier, and surf fishing needs. These reels are tough enough for harsh saltwater and a look awesome too. Saltwater spinning reels have come a long ways over the years. 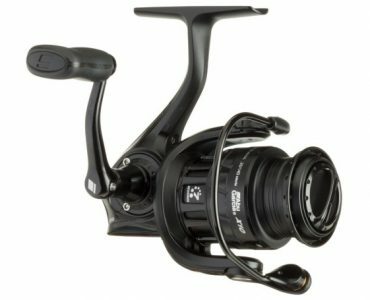 No longer are they under powered, over matched reels that are limited to light coastal fishing. Nowadays, the best saltwater spinning reels can handle big and powerful fish in the surf as well as offshore. 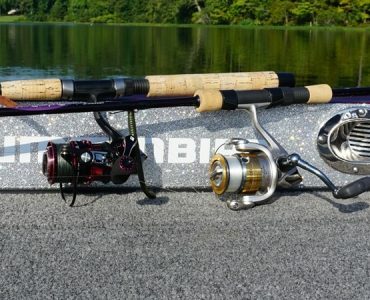 There is a lot to choose from when looking for a good salt spinning reel, but it doesn’t need to be complicated. We’ve studied all the top brands and pored over countless user reviews to create our custom list of top saltwater spinning reels. Have a look, and I’m confident you will be sufficiently educated to get a reel that’s perfect for you. Quality Components – Saltwater is going to be hard on your gear, so it’s only natural that you must take care of your rods and reels. High quality, corrosion resistant components is the first defense against the harsh saltwater environment. Look for materials like carbon, titanium, and stainless steel in your saltwater spinning reels. Magnesium is not the best choice for long term corrosion resistance, unless you are an experienced and dedicated cleaner after every trip. Good Sealing – A reel with good seals will keep saltwater out from the inner parts of the reel where it can do damage. A good saltwater spinning reel can be opened for easy rinsing and flushing after use. Strong & Smooth Drag – Spinning reels are easy to fish with, but their strength and power in fighting fish is not in the same league as a casting reel. A good saltwater spinning reel will have a strong, yet smooth drag system to help you fight the fish. Look for carbon fiber washer stacks that create drags with effortless engagement. Trust me; this will come in handy when the big fish goes on a run at the boat. Spool Type – Braided line is a natural fit for saltwater fishing, so look for those spinning reels with spools specially designed to handle braid. They have machined grooves that are designed for braid to grip onto the spool with no slippage. Many saltwater anglers use braid as a main line and a high quality fluorocarbon line for a leader. Line Capacity – You need to choose wisely when it comes to line capacity. The bigger the fish, the more line capacity you could need. A bigger reel will usually have a higher line capacity, but not always, so keep an eye on the braided line size and capacity ratings. 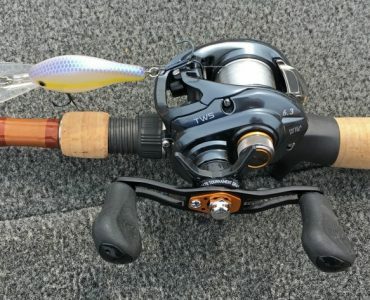 The Penn Clash may be the best saltwater spinning reel for the money right now. It is built with quality components all around and fishes as smooth as you could ever want. 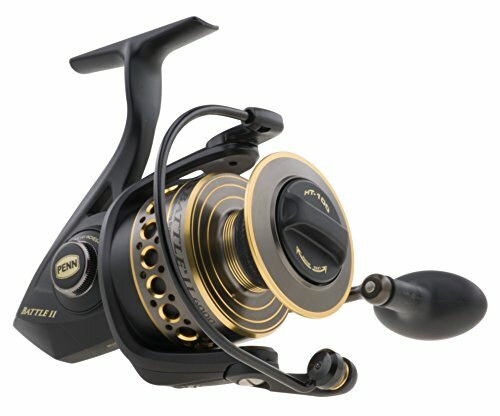 Penn uses machined parts with sealed bearings to achieve an exceptionally dependable spinning reel design. The sealed body and bearing help keep the sand and grit found in the saltwater environment out of the mechanical components. There are large screws on the frame that make normal maintenance easy to perform yourself. The Penn Clash has 8 ball bearings plus 1 roller bearing for strong and smooth reeling. You should find the HT-100 drag system to excellent, thanks to the keyed and sealed carbon washer stack. The body is 100% metal, with an aluminum bail, so you shouldn’t feel any flex or torsion when fighting big fish. You’ll be hard pressed to find a better inshore, surf, and saltwater spinning reel than the Penn Clash. The Conflict is one step below the high end Clash, making it a mid-range reel in the Penn saltwater spinning reel lineup. The Conflict has 7+1 sealed bearings, compared to 8+1 on the Clash. The sealed bearings help keep crud out of the bearings to ensure continued smooth casting and reeling. Like any saltwater reel, you do need to be careful about performing regular maintenance. The drag system here is same carbon fiber washer design as on the Clash. This system provides a smooth, yet strong drag performance, which is critical when fighting powerful saltwater fish. The Conflict is equipped with braid ready spools, machined aluminum on the 5000 to 8000 sizes, and graphite on the smaller models. Penn also has a proprietary rotor balancing system that ensures your line is even laid back onto the spool. Overall, if you want to get the quality of a Penn reel, but can’t afford a Clash, then the Conflict is an excellent backup option. The hyper popular Revo series from Abu Garcia has made its way into the inshore saltwater game. 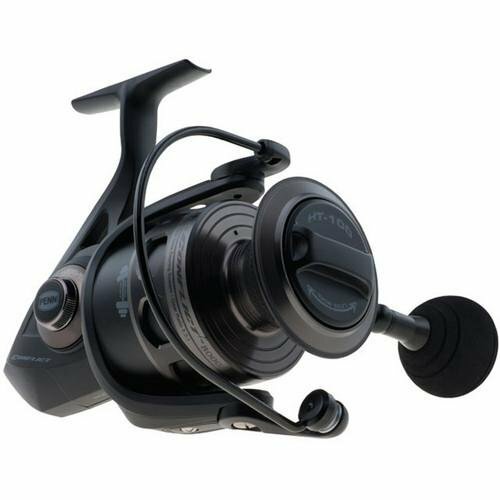 The Revo Inshore comes in sizes 30, 35, 40, and 60, so it’s definitely built for surf and in shore casting. The 30 and 35 are built with the lightweight C6 carbon body, while the 40 and 60 get a beefed up X-Craftic alloy frame for increased strength. The Revo Inshore has a machined aluminum spool designed for handling braided line, which is fantastic for inshore saltwater use. Lots of people are using this Revo for Redfish, Stripers, and Salmon. The Revo Inshore has a smooth Carbon Matrix drag system, just like all the other Revo spinning reels, which is good news for saltwater anglers. 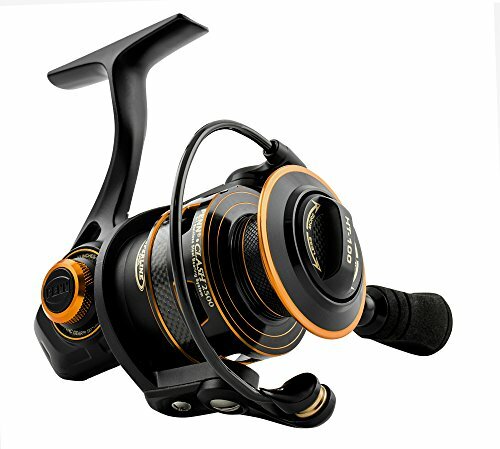 The Battle II is yet another Penn saltwater spinning reel that we love, are you beginning to see a pattern? The Penn Battle II could be considered the younger, more affordable sibling of the Clash and Conflict reels. 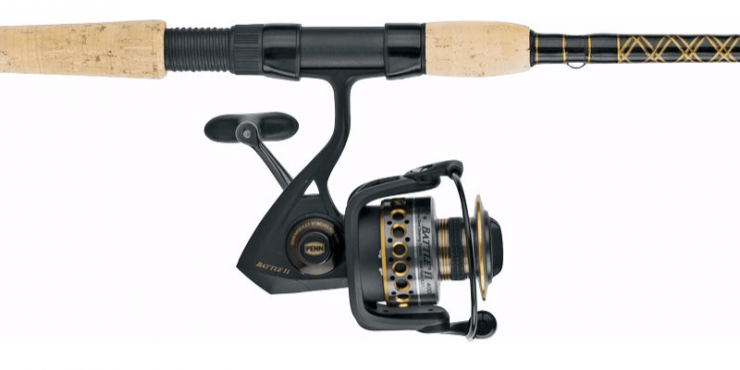 The Battle II shares many of the same features as the Clash, like the HT-100 Drag System, “Techno-Balanced” rotor, sealed bearings, and braided superline spools. The difference is the Battle II lacks all of the body seals found on the Clash. If you happen to dunk your Battle II in the surf, you will want to break it down for a thorough cleaning afterwards. Like the Clash, the Battle II comes in size from 2500 for light inshore fishing, all the way up to 8000 for deep water off shore fishing. Braid capacities range from 220 yards of 15lb on the 2500 size, up to 390 yards of 65lb braid on the 8000 model. After reading through dozens of user reviews, it’s pretty clear that the Penn Battle II is tough and dependable, and one of the best saltwater spinning reels in its class. 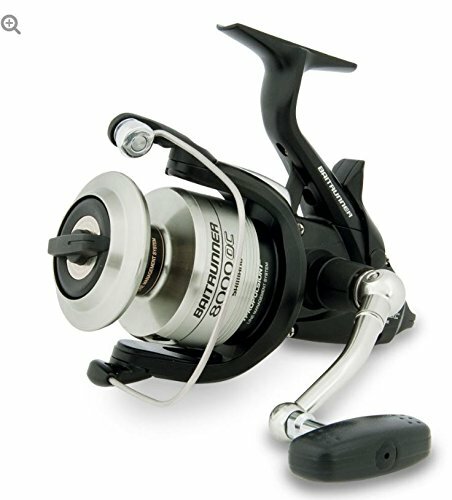 The Shimano Baitrunner is maybe the best saltwater spinning reel for fishing live bait and cut bai. 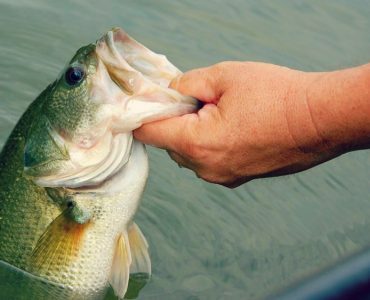 The Baitrunner system is a rear clicker system that allows you to let your bait run, either on their own, or when a fish takes it and you can let them get it in their mouth better. Then all you do is engage the reel and the regular drag system takes over and you can fight the fish. The clicker is able to be precisely adjusted, it’s smooth, and has a loud and easy to hear clicking noise. For surf fishermen, the Shimano Baitrunner OC is a good choice because of its Propulsion spool system, which helps line peel off the reel with less resistance for further casts. The Dyan-Balance is intended to reduce the wobble during your retrieve, and it works even on the big 6000 and 8000 size reels. The drag has been upgraded from oiled felt to the Dartanium II cross carbon washers. 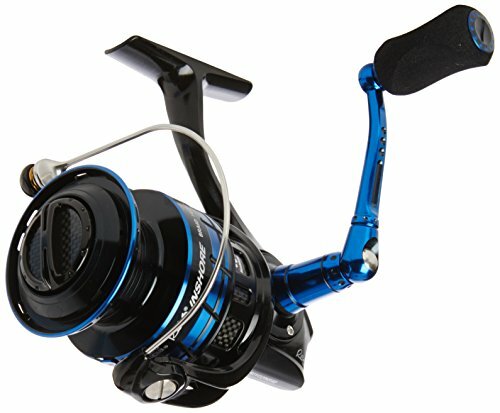 Overall, this is a workmanlike saltwater spinning reel that is a great option for surf and pier fishing with live bait. Magnesium for saltwater use. Absolutely not. Stainless is ok provided its Chromium content is above 4%. What is more important is preventing saltwater ingress to the inner parts as the outside can easily be flushed / rinsed after use. Rotor bearing is the one which is difficult to easily protect / keep rust free. Thanks for the info Stephen.